In 1887 a small family florist was born in the heart of Philadelphia. By horse and buggy the Stein family delivered flowers throughout the city. They built their business by servicing the public with quality merchandise at a value beyond the industry's norm, with dedication to their customers. 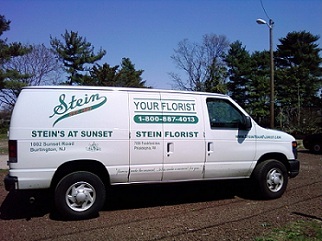 Stein Your Florist Co. has been serving Philadelphia, New Jersey, and their surrounding suburbs for over 131 years. The Stein family has shared with their customers the joy of birth, the celebration of life and, with compassion, the passing of loved ones. After training under their tutelage for 15 years, in 1996 the Stein family entrusted Patrick Kelly with the future of Stein Your Florist Co., bequeathing to him a large portion of the company. In 2006, with his wife and two daughters, Patrick acquired the company in its entirety. Now a fourth generation family florist, we continue to follow the tradition of professionalism and business ethics set before us. With pleasure, we make ourselves available to help you with all of your floral needs. Our staff represents the most experienced and professional designers and office personnel available in the industry today. 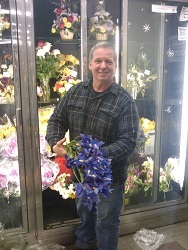 From traditional to the most contemporary designs, our staff is eager to help you with all your floral needs. Whether you visit us on the web, call, or stop in one of our shops, you will see why Stein Your Florist Co. has been a family tradition for over 131 years. 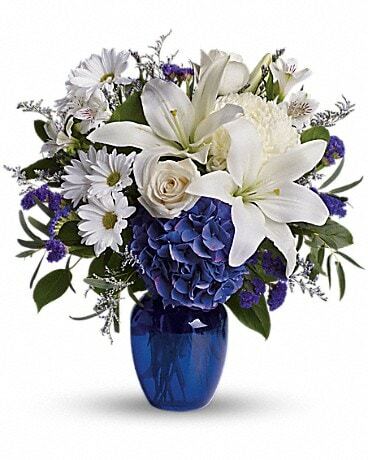 Flowers make the moment... Let us make a moment for you. Monday 8:00 a.m. - 6 p.m.
Tuesday 8:00 a.m. - 6 p.m.
Wednesday 8:00 a.m. - 6 p.m.
Thursday 8:00 a.m. - 6 p.m.
Friday 8:00 a.m. - 8 p.m.
Saturday 8:00 a.m. - 6 p.m.
Sunday 8:00 a.m. - 1 p.m.
Friday 8:00 a.m. - 6 p.m.
Saturday 8:00 a.m. - 4 p.m.
Our shop is open 365 days a year! Stien Your Florist Co. is a proud member of the Greater Northeast Philadelphia Chamber of Commerce. 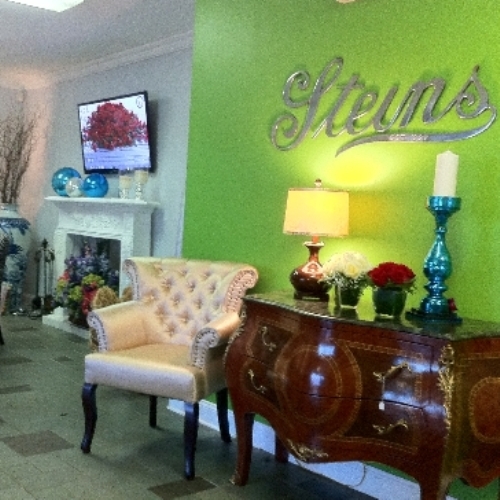 At Stein Your Florist Co. our goal is to share our love of flowers with the world. 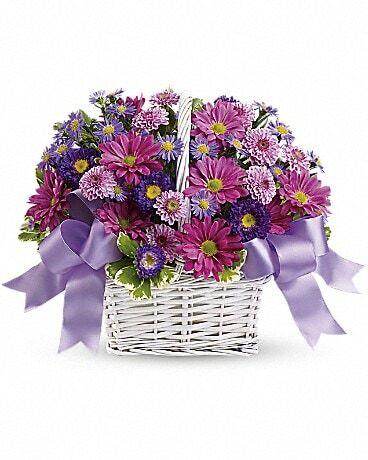 To provide beautiful flowers and gifts to make the moment. 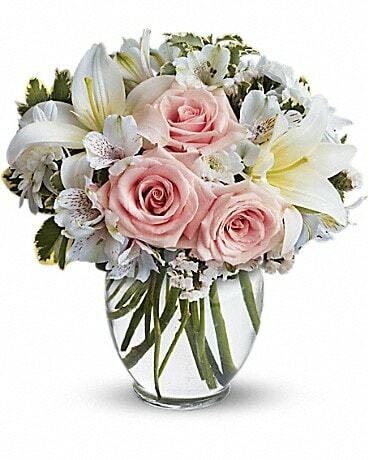 Our mission is to be the premiere florist for Philadelphia, New Jersey, and the world. We strive to be the gold-standard; providing the public with exceptional merchandise at an exceptional value. To share the joy of birth, the celebration of life, and, with compassion, the passing of loved ones. We endeavor to assist our clients with all their floral and gift giving needs, sharing our superior knowledge and experience. We aim to continue our long-standing tradition of professionalism and business ethics with the most experienced designers, office and delivery personnel available in the industry today. We will provide a properly functioning, financially stable business, which ensures an appropriately profitable financial condition that benefits our employees, management, and the stability of the company. We will continue to offer education and information to our staff and community applicable to the floral industry as well as the areas of human relations and equality. In everything we do, we strive for excellence and integrity. 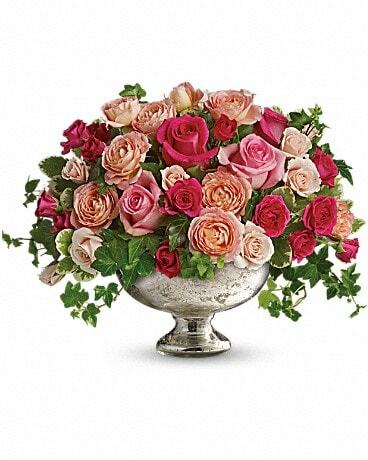 Stein Your Florist Co.’s vision is to share our love of flowers with the world, while maintaining socially and ecologically responsible practices. We believe that flowers make the moment. They engage the important senses of sight and scent, evoking emotion. They set the mood, set the tone, create an ambiance, accent decor, bring warmth, bring style, bring life, add vibrance, add fragrance, evoke joy, excite passions, provide comfort, and are perfect for every occasion and for no occasion at all. Stein Your Florist Co. was voted Best of the Best among florists by the Philadelphia public to receive the Daily News People Paper Award for 2009-2010. 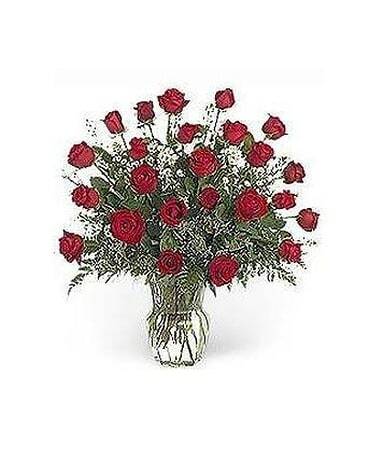 Thank you Philadelphia for choosing us as your favorite florist, we love you too! From the moment we first heard Psy's infectiously catchy hit song "Gangnam Style" we started dancing and we haven't stopped yet! Stein Your Florist Co. owner/operator Patrick Kelly takes on the role of Psy alongside his crew of designers, sales team and management in our floral parody of this #1 single. Oppa Stein Your Florist Style!! 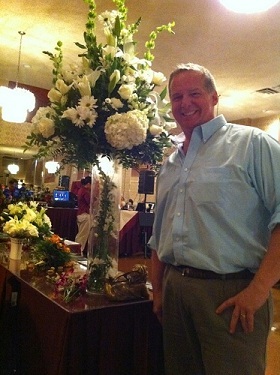 Stein Your Florist Co. is thrilled to celebrate 30 years with Patrick Kelly!! Since 1981 he has been a part of this company and worked closely with Mr. & Mrs. Stein, embracing Steins and the floral industry. Now, he works side-by-side with his family, his wife and two daughters, and many others that he has come to know over the years, what he considers his extended Stein family. September 28, 2011, marks 30 years with Steins and we would like to say thank you for everything! Because of you, flowers make the moment, and we are happy to have you make the moment for us! Congratulations Patrick and many more years of success and joy with Stein Your Florist Co.! "Thank You everyone for your well wishes... I would like to give special thanks to my wonderful wife and darling daughters who have shared with me my passion for this industry... I would also like to thank my friends who have stood by me in the past and especially those closest to me that stand by me now.... I would like to send out my heart felt gratitude to all the customers and business constituents that I have had the honor and pleasure of sharing part of their lives with. I was blessed to be mentored by Joseph and Celia Stein who saw my love for the flower business and prepared me to continue the legacy that is Stein Your Florist Co. It's 30 years and I'm just getting started...."
Our shop serves Philadelphia, its surrounding suburbs, New Jersey, and the world. Phone us at 800-887-4013. If you have any questions or need more information, please call us directly at (800)887-4013. We're always here to serve you and make your flower-sending experience a pleasure. We have two locations to better serve you. 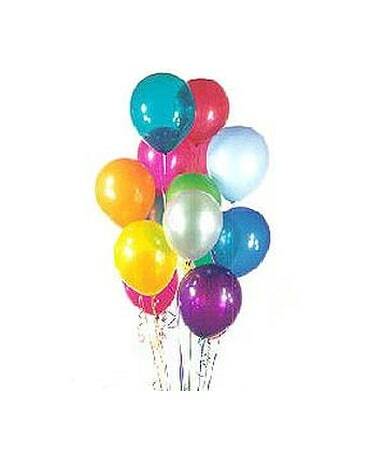 Last minute or special time deliveries may be serviced by calling us direct at 800-887-4013. 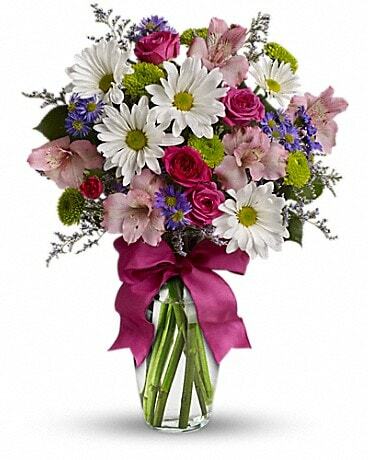 We will do our best to accommodate deliveries at specific times of day.